Please note that in the best tradition of Motor Manufacturers, our Serial Number begins not at 1 but 1001…and perhaps in similar tradition, there is already a minor snag. I am advised that, under the Data Protection Act or somesuch piece of bureaucratic red tape, your identities should remain confidential. But what sort of an Association would this lead to? Please let me know, then, how much of your identities I can publish, to form a working Members List, of potential usefulness and interest to us all. I would suggest a name and an email address as a minimum, with as many other details as you feel free to give. What was to have been the Grand Official Opening of our Association, at Founders Day/Stanford Hall on 21.7.13, fell a little flat with only 5 Sopwiths and 2 Skootamotors to grace our pitch, but no matter, it all attracted quite a lot of interest. Our Marque Specialist Keith made us cosy with his collapsible gazebo and picnic stove, decorated with sheets of photos depicting acts of derring-do by heroes on ABCs. I got in two laps of the Arena, and the weather played fair too. Anyway, this Newsletter is being transmitted to 16 Anonymous Associates, who hereby form the core group of our endeavour. Not all of you own complete machines, but it’s the thought that counts! Feel free to introduce like-minded friends and colleagues to our Association, at all times. To recap on the terms of reference and aims of the Newsletter, it will rely mainly on contributions from you: anecdotes, technical tips, points of information, reports on happenings, recommended outings, requests for information, replicas of ABC documents, notice of parts for sale or exchange, parts required, sources of parts, photos of special machines, notes on the interchangeability of the Gnome et Rhone clones with Sopwith Originals, etc etc. 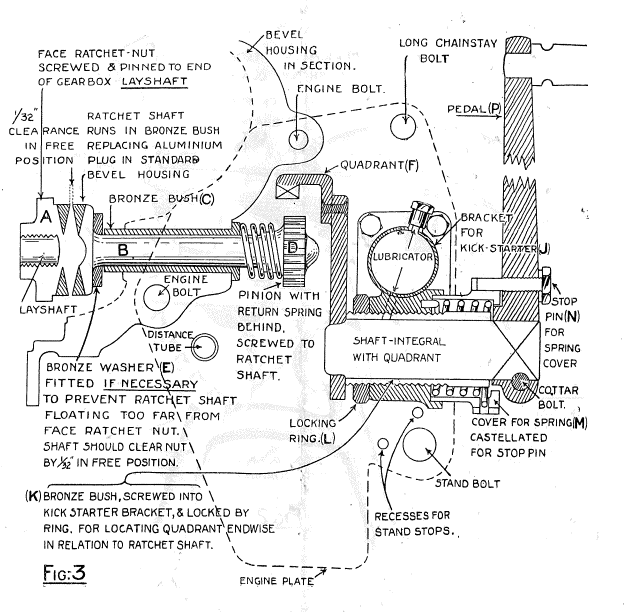 My first Technical Tip concerns Head Gaskets for Sopwith Machines, and specifically, How To Live Without Them! The Inglis Parts List includes such gaskets, but I have never seen such an item, and wonder what it would look like. Skeletal, to say the least, or is it simply a slim metal ring? Anyway, with six equi-spaced bolts on a pitch circle to hold each cylinder head to its cylinder barrel, I find any sort of gasket superfluous. Each head can easily be lapped onto its mating cylinder-top joint-face with the use of a little valve-grinding paste, to provide a true, even matt-grey surface. 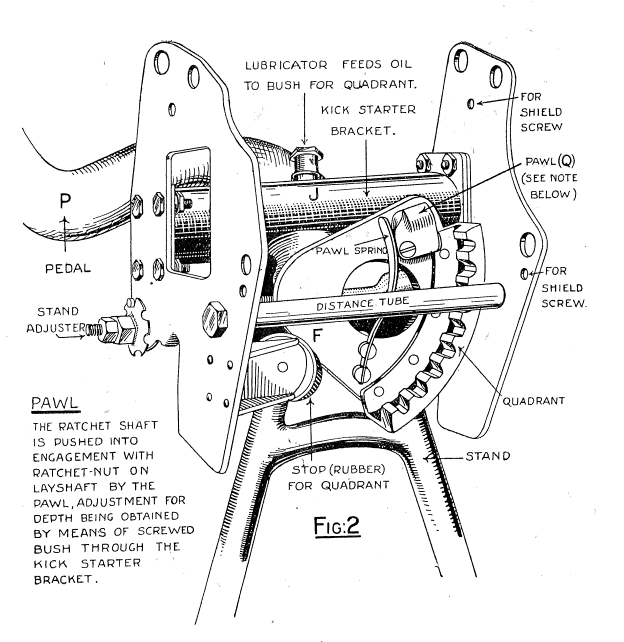 Thereafter, incremental and sequential tightening of the six ¼” BSF bolts to a torque of 10 N.m. (in old money that’s 90 lb.in., or 7.5 lb.ft., depending on your tackle) will give a gas-tight union. The Increase in Compression Ratio won’t register on the Richter Scale, and the Decrease in Inlet and Exhaust Port Centres shouldn’t upset fitment of the manifolds, either. 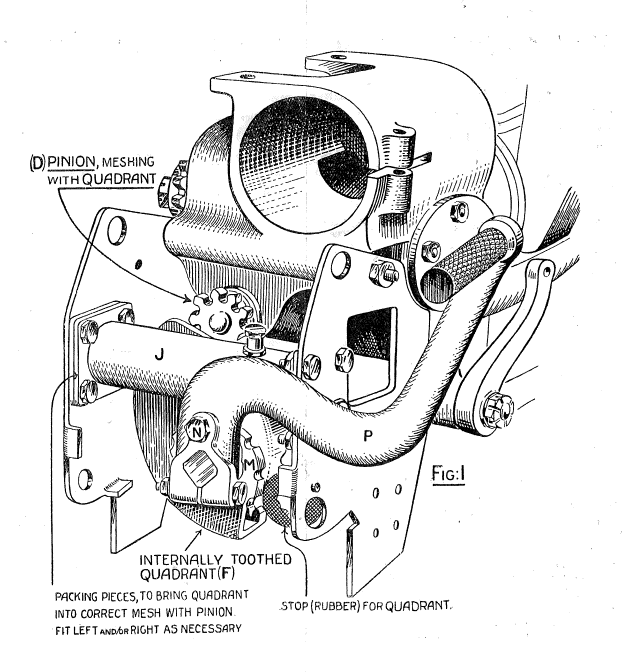 For lots of pictures of ABCs (and other interesting old machines), try Googling “ Harry Beanham “ . There is quite a selection of files under this heading, containing images and info. on Australian Harry, and his many machines, including the elusive (?) Gnome et Rhone! Thanks to Howard Burrows for introducing me to the Beanham Bonanza! 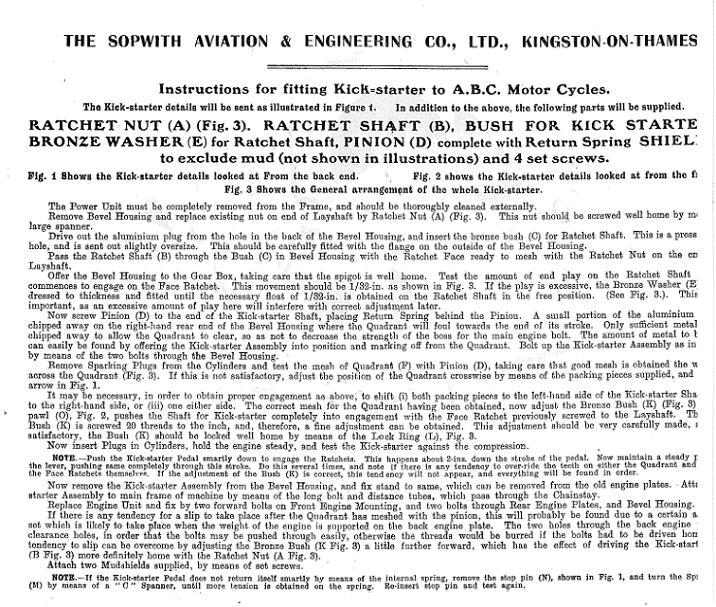 The accompanying reprint about How to Fit the Sopwith Kickstarter was kindly submitted by Richard Johnson, to whom thanks, for sharing with us this rare piece of documentation. Marque specialist Keith will shortly be contacting Michael Sands of the Brooklands Museum, with an eye to organising another ABC Meeting there, this time to celebrate the Centenary of the Manufacture of the first complete motorcycles, in 1914. He hopes for an earlier date in the season than our October tryst of 2012. However, for Michael to find it worthwhile, the overall theme might have to be Flat Twin Motorcycles in general. As noted above, this Newsletter is being distributed to 16 people. Please respond, however briefly, if you would like to be on-board for further issues. And don’t forget to feel free to invite kindred spirits to join our circle!